Are the "graphics, initials, etc." 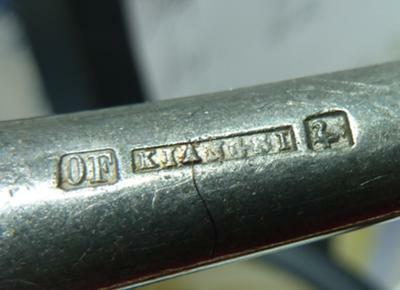 on the back of pewter utensils called Hallmarks? If they are not hallmarks, what are they called? If you only deal with gold & silver hallmarks, is there anyone you can refer me to who might be able to answer my questions. I am trying to discover information as to origins of some pewter utensil pieces.